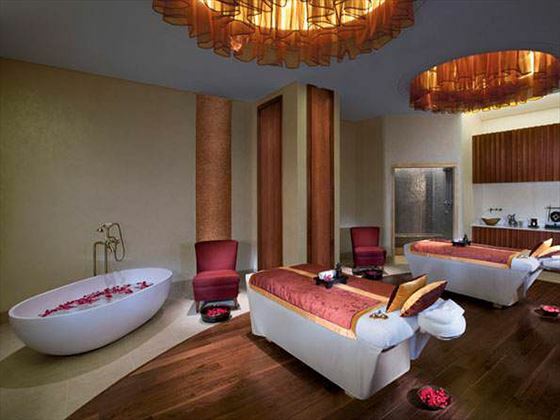 Discover a haven of elite amenities that showcases Anantara’s distinctive luxury and tranquil mangrove lagoon views. 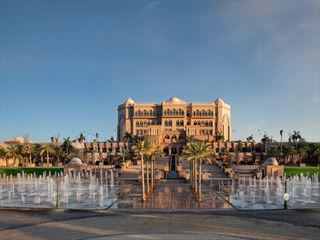 Choose from 222 stately rooms and suites, characterised by abundant personal space and decor reflecting the splendour of the region’s desert and mangrove landscapes. Dine on traditional Thai culinary delights enhanced by authentic decor. Kick back and relax at the stylish rooftop lounge and drink in uninterrupted views of the mangrove lagoon at one of Abu Dhabi’s coolest nightlife destinations. Unwind by the infinity edged pool with breathtaking views of the mangrove forest, and relinquish every last sign of stress at Anantara Spa, where guests experience complete rejuvenation of body and mind and discover the healing powers of a traditional Arabian Hammam. The Deluxe Rooms harmonise elegance and comfort, creating personal havens – an ideal base for exploring all the charms of the Emirates. With 57 square metres of inside and outside living space, each room boasts the ultimate in modern technology including in-room entertainment systems, ideal for those looking to enjoy contemporary comforts within their luxurious accommodation. 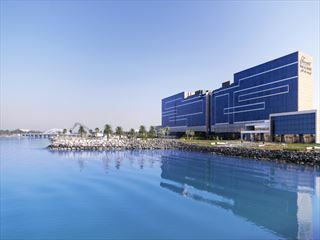 Abu Dhabi is also known for its contrasting landscapes and the rooms here offer panoramic views over the mangrove lagoon or city architecture to create magnificent backdrops defined by the area’s unique beauty. 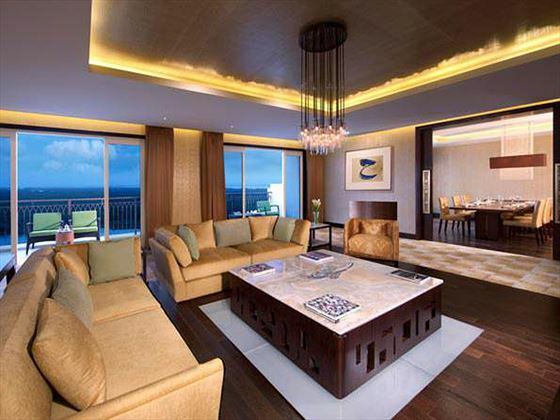 The Kasara Balcony and Kasara Mangroves Balcony rooms provide stylishly furnished living spaces to call your own. 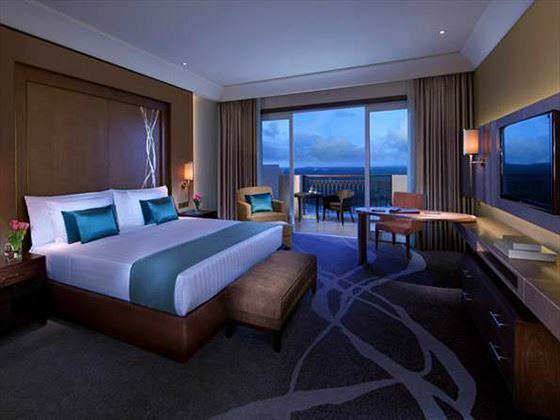 Located on the upper floors of the hotel, these rooms boast some of the finest views at Eastern Mangroves. 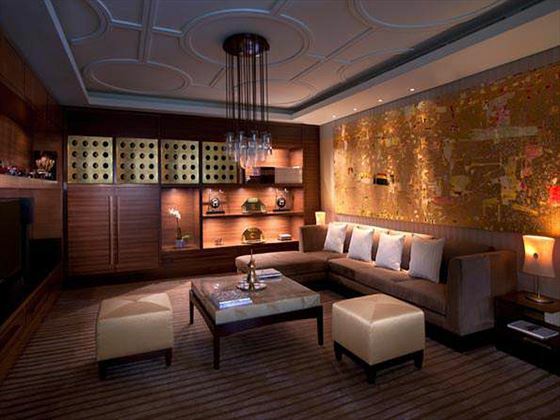 Kasara room guests receive exclusive access to the Kasara Lounge as well as a host of other benefits. 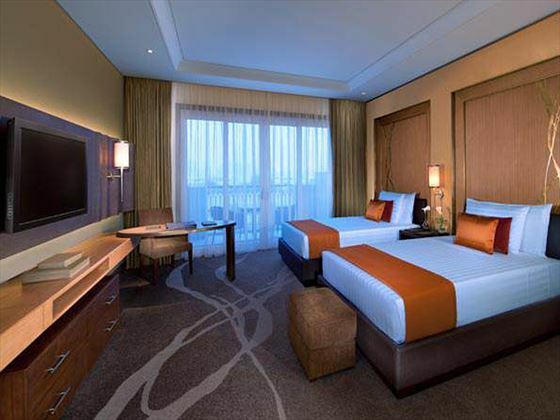 The five Kasara Mangroves Suites are elegantly designed to give you the best in comfort and luxury. At 180 square metres, the spacious suites are complemented by outdoor living spaces and a private plunge pool with mangrove views. Designed in serene tones with decadent furnishings, the majesty of the suites echoes the natural beauty of the famed mangroves and the views beyond. Mangroves Lounge provides a beautiful, tranquil setting for relaxed drinks, right in the heart of the hotel. Enjoy vistas over the swimming pool and surrounding lagoon while savouring Eastern Mangroves’ signature mocktails and cocktails. 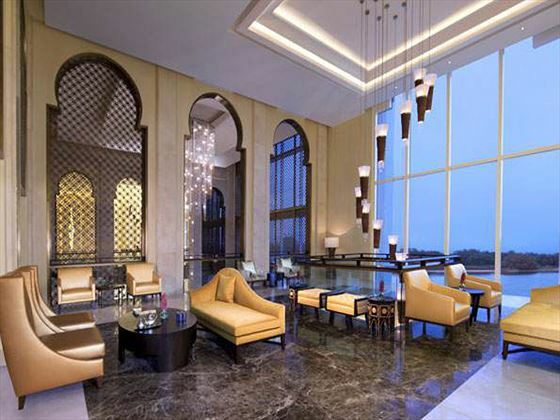 With a stunning bronze mushrabiya as the venue’s focal point, the cosy two-level lounge seamlessly blends Western and Emirati influences. Already regarded as one of the best Abu Dhabi restaurants, this all-day venue features culinary specialities from around the world. Freshly baked Arabic bread, a live sushi bar; breakfast, lunch, and dinner from five different kitchens. Choose from an expansive organic selection amid the elegant atmosphere defined by the two spacious al fresco terraces and the warm hues of the stone walled interior. Chilli and lime fabrics accent the space, and colourful art pieces underscore the eclectic vibrancy and diverse cuisine. An elegant and intimate setting to savour the authentic tastes of Thailand. 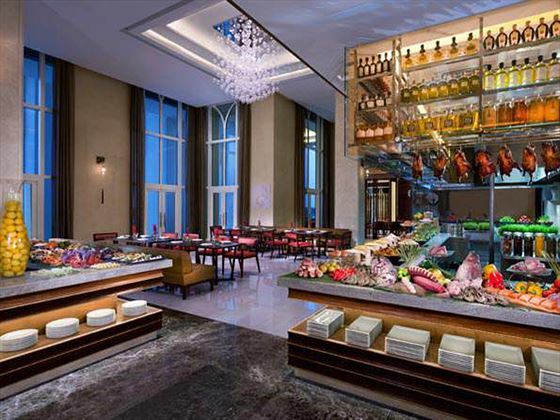 From the open kitchen, enjoy flavourful curries, spicy salads and traditional larbs amid a regal environment evocative of the grace of the eastern Kingdom. Rich gold and purple tones adorn the interior, while lavish curtains and gilded bronze screens provide private family dining spaces with a royal touch. 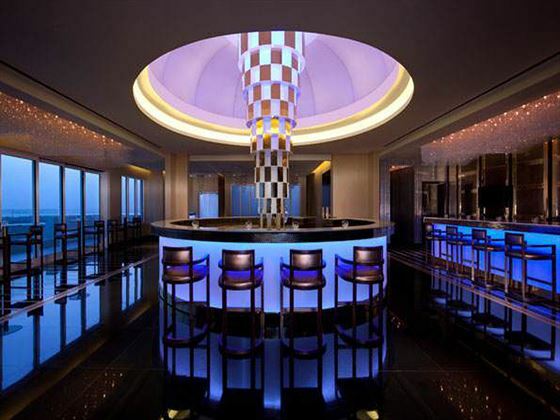 Experience Abu Dhabi’s sophisticated nightlife in the sky. Recline on plush sofas at the hotel’s rooftop lounge, with views over the mangroves and an exclusive selection of wines, cigars, and cheese. 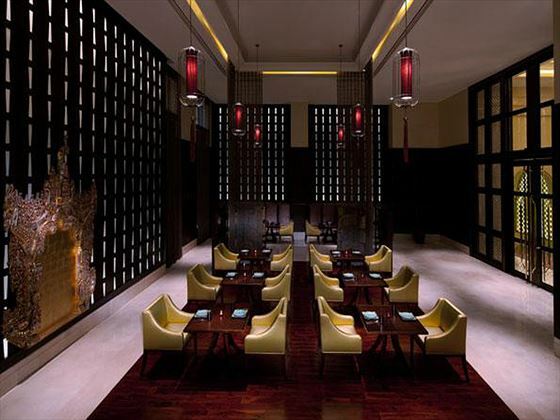 Decked with brass panels and shimmering beaded screens, the modern-luxe décor is infused with uniquely local touches to match the regional cuisine. Dynamic lighting finishes the impression, the colour scheme changing from aqua to teal and purple to blue, depending on the mood of the evening. Soak up the tranquility of the mangroves in a poolside setting inspired by Greek mythology. Generous, luxurious seating ensures each guest can relax in their own space and enjoy the unique views. Refreshing frozen cocktails feature on the menu, along with a selection of Greek-inspired dishes served on the unique Anantara salt brick. For the ultimate relaxation, enjoy our tailored Jacuzzi experience, accompanied by the exclusive Aphrodite Menu and a relaxing shoulder massage from one of our expert spa therapists.